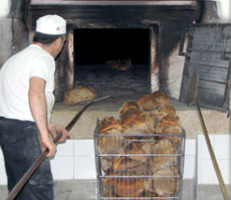 The artisan bakeries are the laboratories dedicated to complete production of the bread, and its direct sales to the public. Production is, in detail, the dosing of ingredients, kneading, rising and baking bread. Can not be defined bakeries facilities or activities that await only part of these operations, such that carry only kneading, cooking only or solely to selling the product.